Online presence has a major impact on the success of your business. Many people are using their smart phones for access to find the closest doctors to their home or work. Once they have found physicians that are close, they can search reviews and see what other local people think of these doctors before making an appointment. These are fairly new techniques for physicians to use to market themselves. Many physicians are now finding that their old ways of marketing are becoming less useful and looking for new techniques to draw in clients. Local search engine optimizations are there to help physicians market themselves in a local radius. There is a useful reason why all smartphones have locations settings. This is because people are constantly using their smart phones to find places and services close to their proximity. SEO’s give an instant result for what people are looking for and most accurately. The more inefficient way of doing this was by word-of-mouth. People would rely mostly on asking people who has been to a doctor for this or that. The word-of-mouth or repeated customer is an outdated way of filling your offices. It’s not the worst, but when you considering advertising and getting your office as a top search in an SEO, this can significantly help you in the future. Using backlinks to generate more utilization on the web will get you noticed by SEO’s and they will signify that your website is being used more often. What that means is that as your website gets more traffic your popularity goes up on the SEO making your business one of the top choices when searched. You also want to make sure that your backlinks are coming from notable sources. For example, using a colleagues’ website to endorse your page would be a great way to get you noticed on SEO’s. 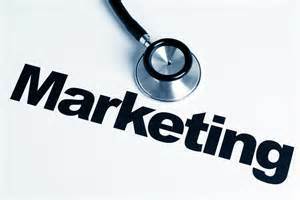 These few things are not new approaches, but are become some of the most important marketing techniques for physicians. The trend is more and more people leaning towards the internet to choose services. Take advantage of the internet and make it work for you!